loved the location. Very private and peaceful. Great show of the norther lights. Cozy room in a beautiful location. Lovely area for walking and enjoying the animals. Remote and calm location, and convenient to explore peninsula day before or after. Nice rooms and shared area, very cosy, thoughtful touches. Adorable cottage with surrounding trails to explore. Beautifully decorated and had everything we needed! Easy check-in and great kitchen, W/D, bathroom facilities! Out of the 7 places we stayed across Iceland, this was our favorite. Big shared bathrooms with an extra toilet, perfectly equipped shared kitchen! Kitchen area and TV area were wonderful. Beds comfy Shower was great. Beautiful surroundings! Lock in a great price for Lava Water Accommodation – rated 9.4 by recent guests! Featuring farm animals in the surrounding pastures, Lava Water Accommodations provides accommodations in Midhraun with free WiFi. There is also a garden on site. Borgarnes is 38 mi from the property. 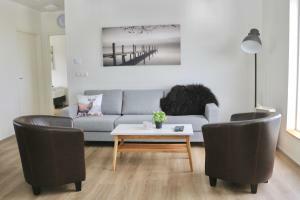 Guests can choose from self-catering apartments and guest rooms. 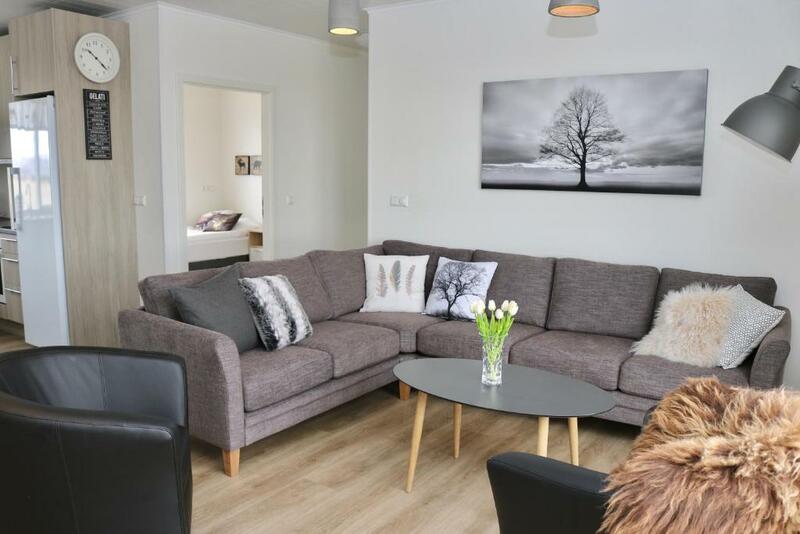 The apartments come with a full kitchen, private bathroom and terrace. Guest rooms have access to shared kitchen and bathroom facilities. Among the farm animals, guests will find over 100 sheep, horses and chickens on site. Grundarfjörður is 26 mi from Lava Water Accommodations. Snæfellsjökull National Park begins about 37 mi west of the property. This property also has one of the top-rated locations in Midhraun! Guests are happier about it compared to other properties in the area. This property is also rated for the best value in Midhraun! Guests are getting more for their money when compared to other properties in this city. When would you like to stay at Lava Water Accommodation? 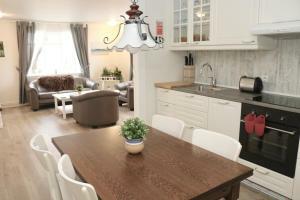 Located in the Hlidin A building, this apartment has an electric kettle, oven and kitchen. Located in the Hlidin A & B building, this apartment features a microwave, toaster and dishwasher. This holiday home has a microwave, seating area and kitchen. Located in Ömmu Hus, this twin room features a seating area. Kitchen and bathroom facilities are shared. 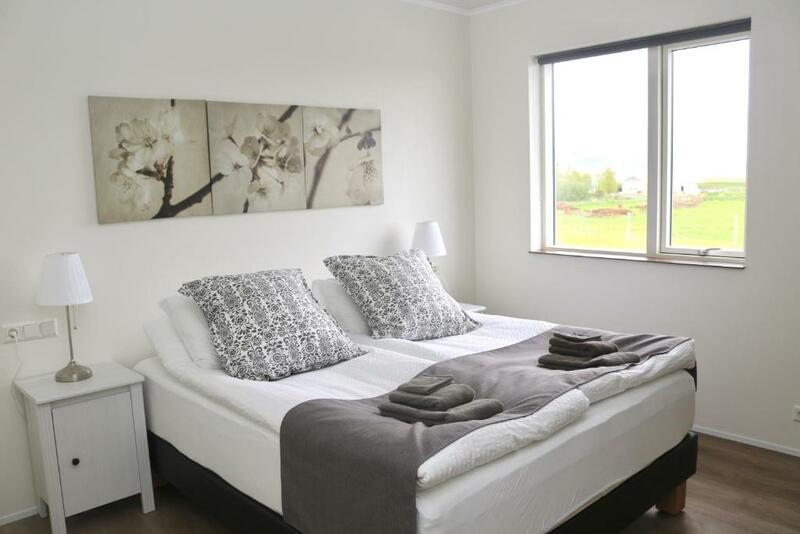 Located in the Fjallið building, this twin room has access to shared kitchen and bathroom facilities. 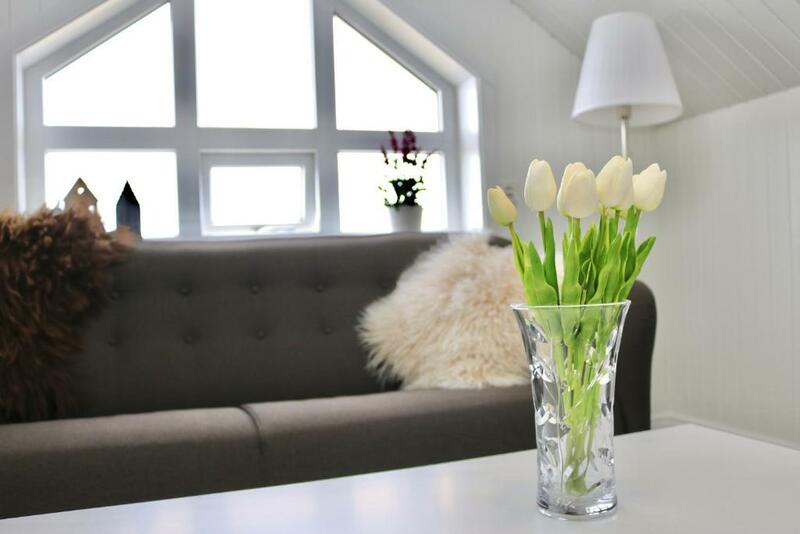 Located in the Fjallið building, this triple room has access to shared kitchen and bathroom facilities. Located in the Fjallið building, this family room has access to shared kitchen and bathroom facilities. 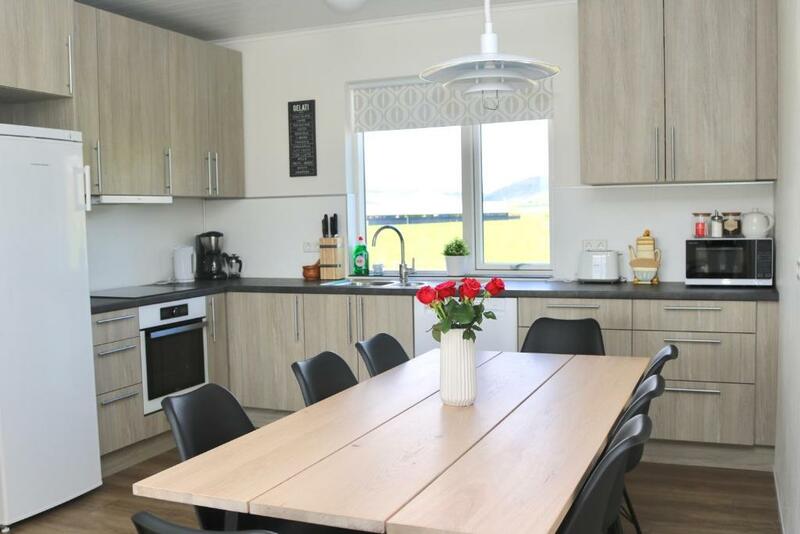 Lava water is an excellent accommodation with very well furnished apartments and rooms, located at the southern part of Snæfellsnes peninsula at the farm Miðhraun 2. 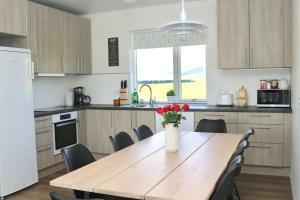 The accommodation is quiet, surrounded by nature and ideally located for those who want to explore the Snæfellsnes peninsula. Our farm is an organic sheep farm with about 100 sheep and few horses. The host lives on site. To meet the host please contact us. The Snæfellsnes peninsula is known for its dramatic landscapes and is the only part of our beautiful country where you can see all of our unique natural elements in only a few hours drives. Lava fields, volcanoes, glacier, mountains, white and black sand beaches, natural mineral water, hot water springs, waterfalls, a national park and a lot of activities like horse rentals, whale watching, bird watching, sailing and more along with many good restaurants. Lava Water location is a perfect place to stay at if you like to take trips around Snæfellsnes or the west part of Iceland. House Rules Lava Water Accommodation takes special requests – add in the next step! Lava Water Accommodation accepts these cards and reserves the right to temporarily hold an amount prior to arrival. Please note that there will be construction works taking place at the property from the 14 October until 30 October 2018. We choose the place because of the good location for travelling around the peninsula. Just before arriving we got an upgrade for an own small house, which was just perfect. It was very comfortable and the kitchen was really well equipped. We were really lucky! It was very easy to get the key, and also check out was very easy. We didnt meet the host, but it was not neccessary cause we could communicate by phone and mail. It was very uncomplicated. 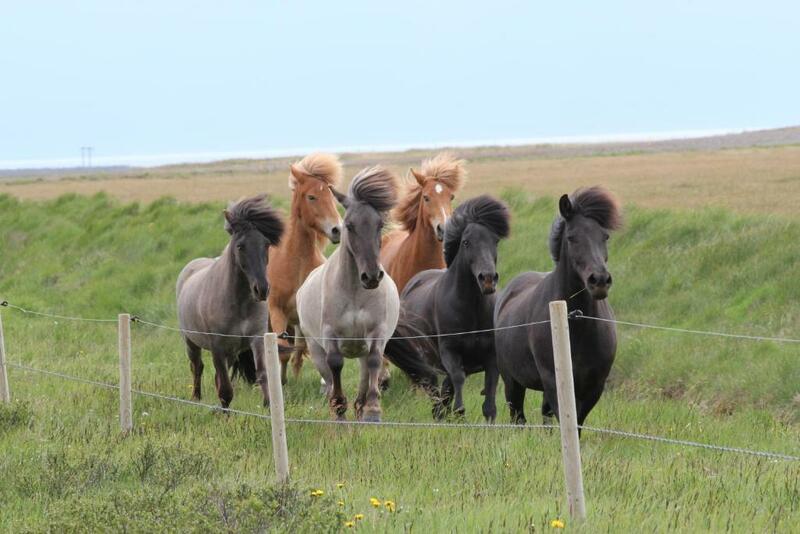 We also would have had the Chance to see the horses and sheeps but we had to leave early, so we couldnt do it. We can really reccomment that place! The house has a TV and very cozy beds. The bathroom is very modern and clean. Parking is possible just in front of the house. There is a fuel station 5min drive from the place. A kettle would have been useful as had to ladle water out of a pan. Clean and great facilities. Comfy beds. Cozy and warm. Lovely to have basic tea/coffee etc in the place. We love the room the most. Unexpectedly, we got upgraded to a private house with the facilities we want. It's very warm inside and beautiful outside. We also saw Aurora for the first time in our life and will remember our experience there for our whole like. It was a bit chilly inside during the frizzing cold weather (not a big deal with warm blankets). The front door was in the “mode” where you can’t lock them and it took us a few minutes to figure out how to allow locking - it might be a bit confusing for foreigners. The place is just great! The house was very well equipped including sharp knifes, things like tea or warm blankets. The farm is far from the city (shops) but they have a good internet connection (WiFi) and the petrol station within 2 km. We arrived late but the house was open and keys were inside (this is nice after a long drive). Shower head in the mens bathroom not working properly. Host not possible to get hold of, despite a reception open between certain hours and emails being sent to them. No response from them. Very comfy beds, good WiFi, very clean. Great location for a peaceful retreat and norther-light capturing spot. The kitchen was superb for group cooking which leave us a great night for 2nd last night in Iceland. Plus laundry and drying facilities are the best for travelers. Lava Water is a No.1 recommendation for all. Amazing hosts and apartment! Upgraded us to an amazing couple of rooms which was an awesome surprise!!!! Equiped with almost everything you need. The place is very beautiful and quiet. We got a free upgrade to a room with private bathroom since it was available. Great experience!